I spent 10 years struggling with a sugar addiction along with all the other issues that come along with it – lethargy, bloating, headaches, skin issues and yeast infections. I visited several doctors and health practitioners, went on various medications and herbs, but nothing seemed to help for longer than a few weeks. Candida is a fungus that occurs naturally in our intestines. It only becomes an issue when our intestinal environment changes (due to our diet and lifestyle) and allows the Candida to overgrow and outnumber our healthy bacteria. It was clear that this overgrowth of this natural fungus was at the root of my addiction to sugar. Armed with this information, I began to research ways to help heal my body and gain control of sugar addiction for good. Candida feeds on sugar, so eliminating sugar from your diet is the first step in restoring balance to your digestive system. Sugar creates acidity in the body and Candida thrives in an acidic environment. Eliminating sugar will help restore the body to a more alkaline state so that the Candida will begin to die-off. In order for this to be effective, both refined and unrefined sugars should be eliminated. This was one of the hardest things for me to do. I was totally addicted to sugar and carbohydrates… AND I own a bakery! But I was determined to feel better, so I stuck with it. After the first week, I hardly noticed. Apple Cider Vinegar is incredibly nutritious, especially the raw, organic, unfiltered and unpasteurized kind. It can help restore alkalinity to the body and aids in detoxification by stimulating circulation. Starting your day with 2 tablespoons of Apple Cider Vinegar will help stimulate the digestive system and begin the process of balancing your digestive system. Chicory root has anti-fungal properties and is also a pre-biotic, meaning it not only helps eliminate Candida, it also helps re-populate the intestines with healthy bacteria. Probiotics are a great addition to your daily health routine even if you don’t have issues with Candida overgrowth. The bacteria in probiotics create a more favorable balance of microorganisms in the intestines. They also help boost immunity and contain enzymes that help break down foods and promote more efficient digestion. If you’re sensitive to dairy, or you’re vegan, check out Dr. Ohira’s travel-ready probiotics, or these dairy-free probiotic vegetarian capsules. Fermented veggies behave in much the same way as a good probiotic, populating the intestines with healthy bacteria and stimulating digestion. I must say, this was one of the hardest things for me to add to my diet, but I truly believe they helped me to heal my gut and get my Candida overgrowth under control, so today I’m sharing a recipe for one of my favorite fermented foods with you. 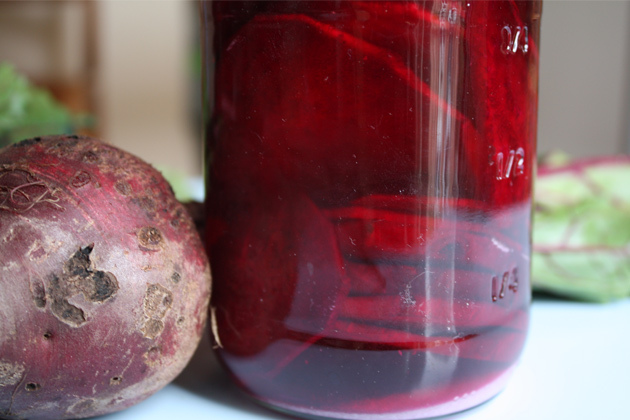 Ladies and Gentlemen, I introduce you to….Beet Kvass! 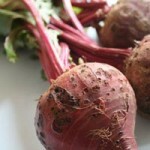 Fermented beet recipe to help heal your digestive system! Chop the beets into cubes and place in a clean quart jar. Sprinkle the sea salt over the beets. Fill the jar with filtered water. Cover with a lid and seal tightly. Leave the jar at room temperature for 2-3 days, and then move to the fridge. Once the beets have fermented, you can eat the chopped beets AND drink the juice. Not only will Beet Kvass help restore balance to your intestinal tract, but you’ll also reap the various other rewards of eating beets. They act as a blood purifier and stimulate production of red blood cells. 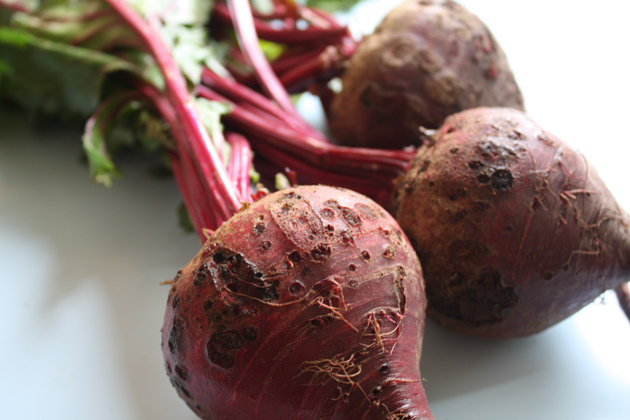 Beets are high in vitamins and minerals, such as potassium, phosphorus, Vitamins A, B &C and iron. Beets were served in space when the astronauts of Apollo 18 met up with Soyuz 19. Beets are super cool, right? 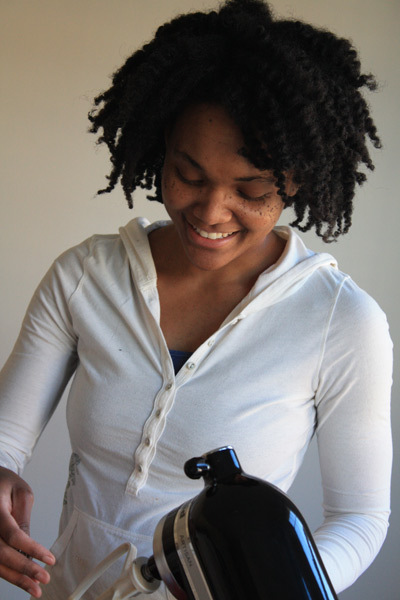 Author Bio: Jennifer Sterling is a nutrition educator & Allergen Free Pastry Chef. She can usually be found whipping up delicious allergen free desserts in the Sterling Sweets kitchen. When she’s not baking she’s speaking Parentese to her beautiful son or helping people with food allergies and intolerance’s rediscover their love for food as a nutrition counselor at Sterling Wellness.